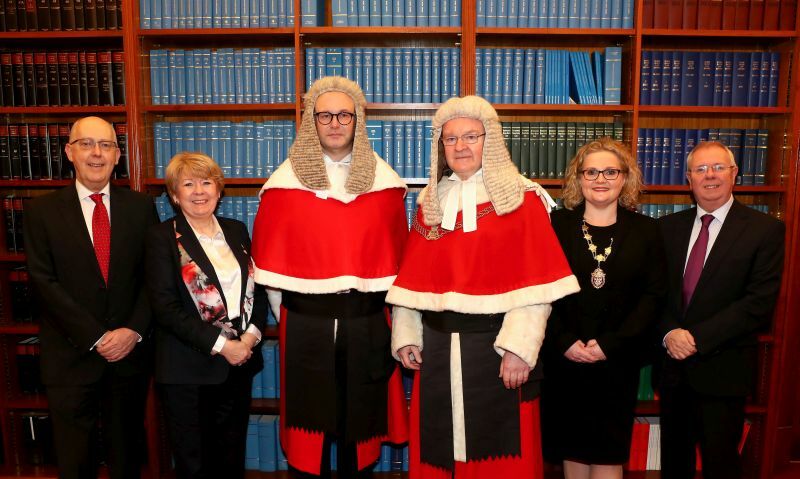 Members of the legal profession were in attendance on Monday 7th January 2019, as the Lord Chief Justice of Northern Ireland, Sir Declan Morgan swore The Honourable Mr Justice Huddleston in as a High Court judge in a packed court in Nisi Prius. Mr Justice Huddleston is a former council member, chairperson of the Education Committee of the Law Society of Northern Ireland as well as serving as President in 2016-2017. 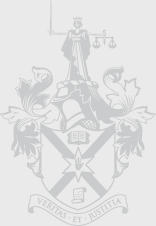 “The Law Society of Northern Ireland is delighted to congratulate and welcome The Honourable Mr Justice Huddleston on his appointment to the Court. Over the course of his career, Mr Justice Huddleston has shown great dedication and contribution to the legal profession as a solicitor, Council Member and as President of the Law Society of Northern Ireland in 2016/17. The Law Society is confident that he will make a significant contribution to the work of the Court and the development of the law. 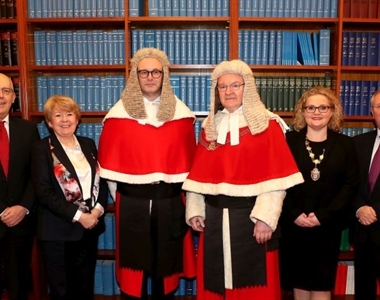 His appointment is further recognition of the important role which solicitors continue to provide to the justice system and the rule of law in Northern Ireland”.